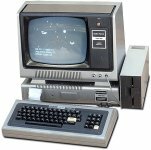 One of the terrorists uses a TRS-80 to receive his instructions. 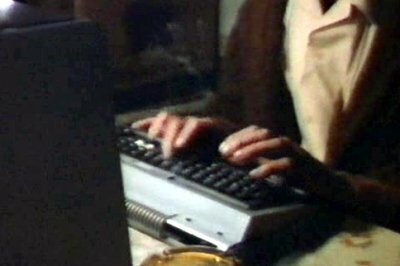 All throughout the movie, the characters use their computers for video chat... BACK IN THE 80's. Who would have thought! This was a cutting edge movie, despite the cheesy campiness of the movie.